After South Korea's impeached president Park Geun-hye received a 24-year prison sentence over various charges of corruption and abuse-of-power on Friday, observers are wondering whether the ex-leader will attend her future hearings. The 66-year-old did not attend her lower court verdict hearing last week at the Seoul Central District Court, appearing to continue her boycott against trial proceedings. [post_ads]She has sat out all court sessions, citing "health reasons," after judges decided to extend her arrest warrant by six months in October last year, due to the risk of Park destroying evidence during her trial. Her lawyers also resigned en-masse, after the decision was made. The former leader was indicted on 18 charges, including the leaking of state secrets, bribery, and extortion of funds from the country's largest conglomerates. She is believed to have colluded with her confidante Choi Soon-sil in most of her alleged crimes. Choi, herself, was sentenced to 20 years in prison in February. The Seoul court on Friday found Park guilty of 16 crimes including taking bribes from Samsung Electronics, SK Group and Lotte Group. She was also found responsible for enforcing a blacklist of artists and cultural figures critical of her administration. According to law experts, Park has continued to plead not guilty and is unlikely to show up at future trials, SBS reported. "Park has boycotted trial proceedings, saying they were unfair and that she has no trust in them. However, the verdict shows the court has not taken her opinion into account," said a spokeswoman for the Korean Bar Association. 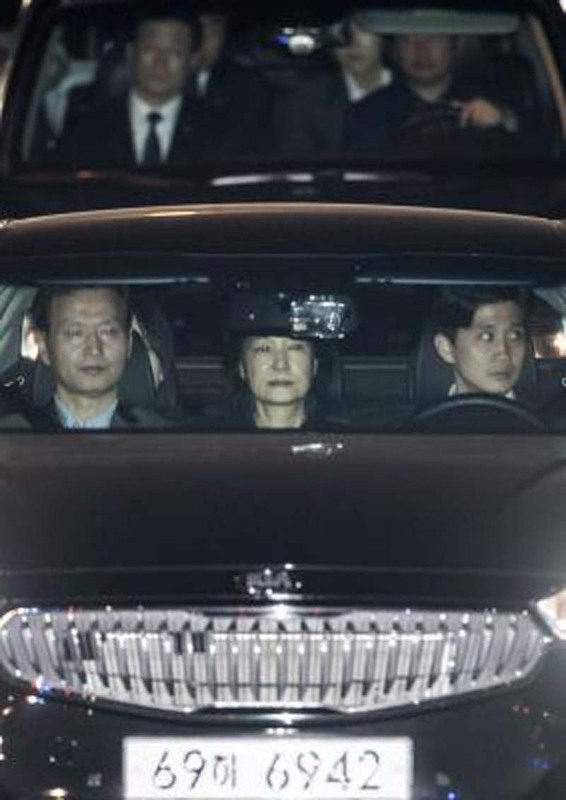 Park is said to have been calm when she was told of the court's verdict on Friday.